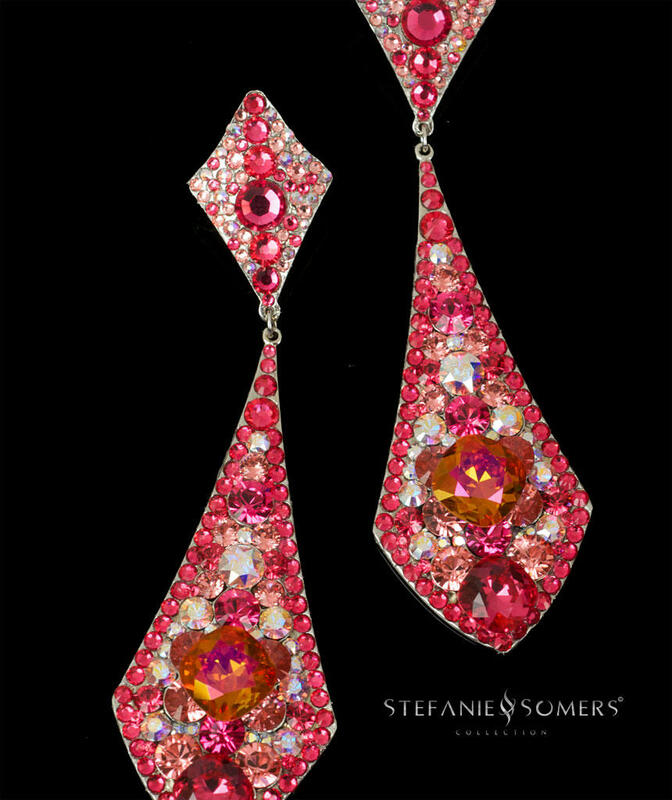 Spectacular crystal drop earrings! Superb for any red carpet or pageant look - a gorgeous at 4 1/4" long. Rhodium plating & hypo-allergenic titanium posts. Crafted in the USA with Crystals from Swarovski. Lead and Nickel free. Available in numerous colorways - Shown in Marakesh.